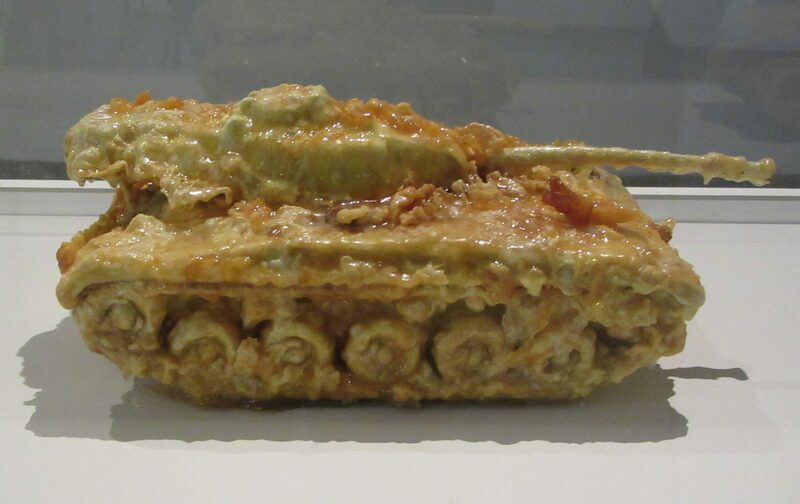 This deep-fried toy tank is one of seven identical models that make up the artwork entitled Visual Art, Add Oil! March Forward! (1999 – 2005) by Chinese artist Zheng Guogu. 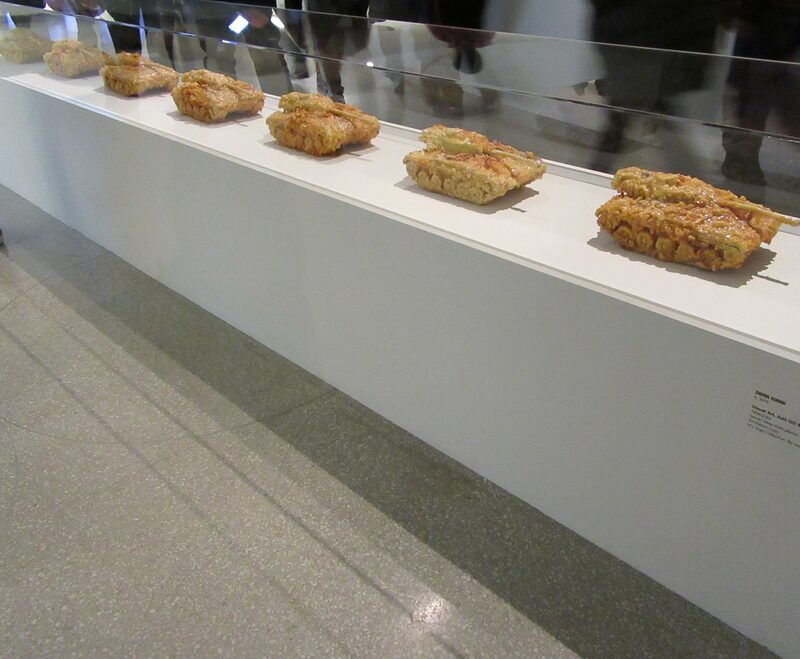 Photographed as Part of the Exhibit Art and China After 1989 at the Guggenheim Museum in NYC.